We just unloaded 3 Focus RS off of our delivery truck yesterday. This is amazing, considering the pent up anticipation of car enthusiast from around Michigan, Ohio, Indiana and the rest of the country! Come in and check out one of these amazing cars today, as they won’t last long at our dealership! Check out some of the details below about this all wheel drive, 350 horsepower machine. After burning up Europe for years, this best-in-class 350-horsepower hatchback has taken its 2.3L EcoBoost® engine to another level. Beefed up where it counts, the Ford Performance All-Wheel-Drive System intelligently distributes power for maximum benefit, both front and rear as well as left and right. And with four different driving modes, including "Track" and "Drift", you can dominate the course no matter the mood you're in. Suspension doesn't tame power. It sets it free. We didn't just stick best-in-class 350 horsepower and 350 lb.-ft. of torque2 under the hood and pat ourselves on the back. Those numbers don't count for anything without control. 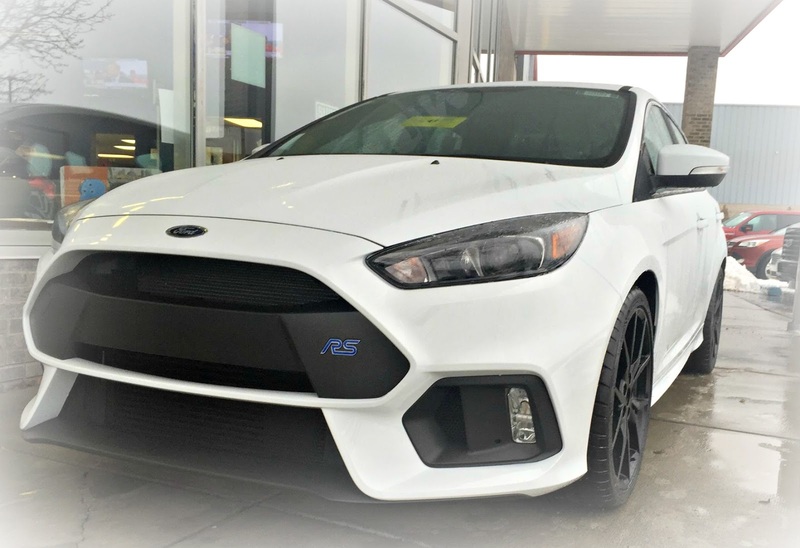 So the 2017 Focus RS has an advanced Ford Performance All-Wheel-Drive System that precisely distributes the power where you need it, as well as driver-selectable suspension settings that let you tune the ride to suit your style. From the tires up, Ford engineers composed a masterpiece of moving pieces, each working in precise synchrony with all of the others. The result is more than the sum of its parts. Focus RS is a machine intended to produce pure exhilaration behind the wheel. Even the interior offers high performance. The 2017 Focus RS certainly has the chops to create all kinds of driving adventure. But you're its master and the interior proves it. You can adjust its all-wheel drive and the suspension to your exact needs and wants. And, it offers the stay-connected technology you need to stay on top of just about everything.